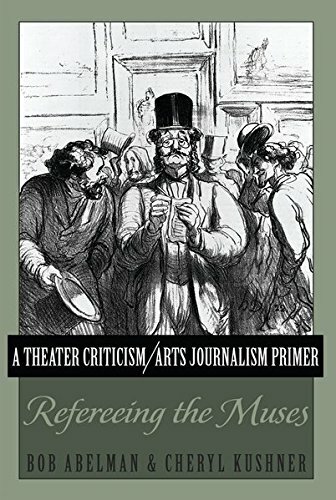 A Theater Criticism/Arts Journalism Primer: Refereeing the Muses examines the skill set associated with being a critic and arts journalist. It explores the history, evolution, and future of the profession in the United States, and carefully and purposefully dissects the preparation, observation, and writing process associated with generating thoughtful and interesting arts criticism. Using theatrical productions as the best and most vivid example of a storytelling enterprise that employs creativity, imagination, collaboration, aesthetics, and artisanship to effectively engage an audience, this book is intended to generate the critical thinking and critical writing skills necessary to effectively engage in all forms of arts journalism. It is designed to be used as a college-level textbook on theater criticism and arts journalism courses, for those looking to become more thoughtful, critical consumers, for casual critics thinking about starting a blog or working for their university newspaper, and for working critics hoping to improve their craft. The text is written in an accessible style and includes quotes from renowned critics and arts practitioners throughout as well as frequent sidebars that offer timely, insightful, and entertaining examples of the points being made in the text. View More In Business of Art.